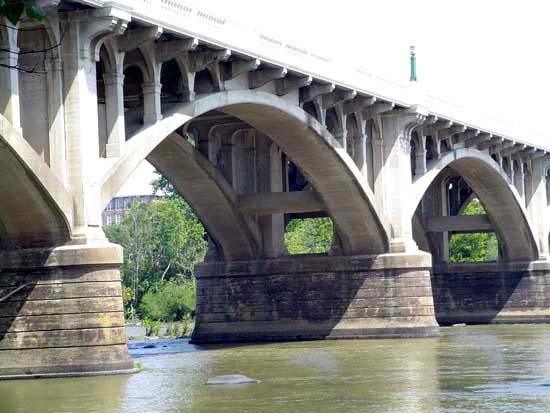 Description: One of four open spandrel arch bridges, the Gervais Street Bridge represents an early use of reinfor... (more)One of four open spandrel arch bridges, the Gervais Street Bridge represents an early use of reinforced concrete for bridge construction in South Carolina. 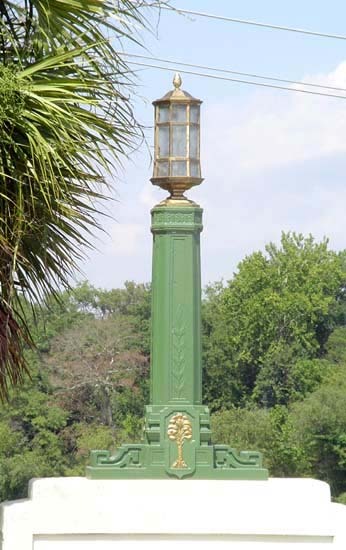 Its cast iron pedestals and lamps were designed by the United States Treasury Department and features the palmetto and crescent design from the state flag. 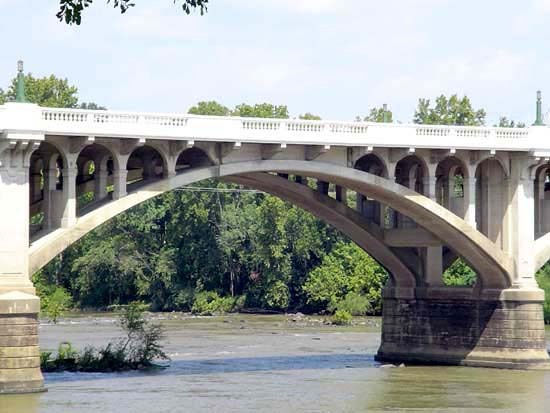 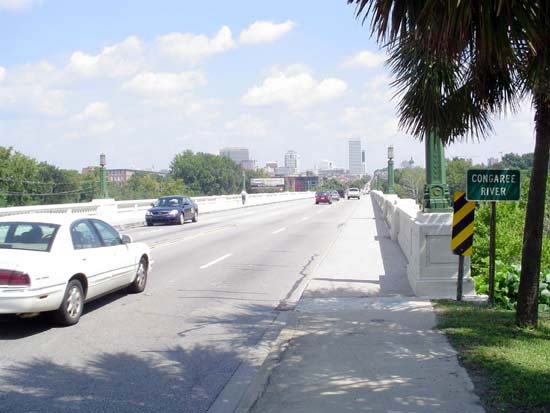 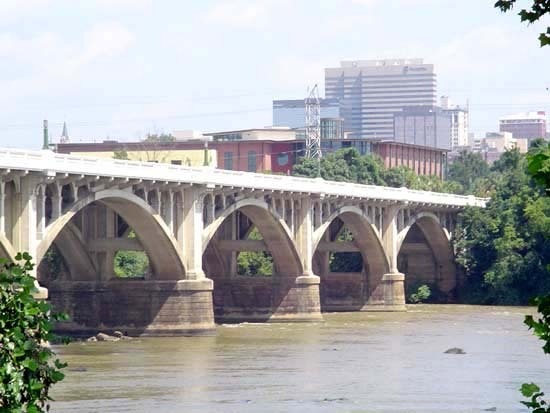 From 1928 until 1953, the Gervais Street Bridge was the only Columbia Congaree River bridge, and is the earliest and most decorative of the three bridges that now cross the river. 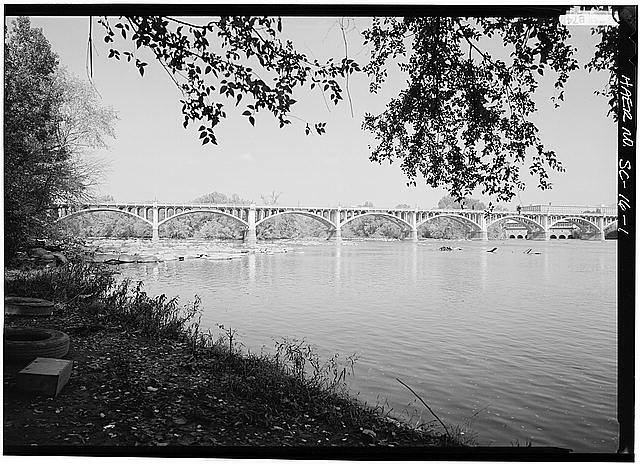 Source: National Register of Historic Places Inventory Nomination Form; South Carolina Department of Archives and History (digital images); Columbia Multiple Resource Area Nomination Form (MPS008); Library of Congress. 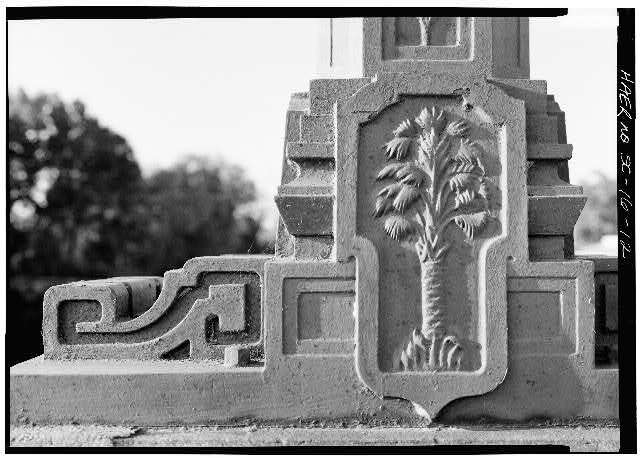 Historic American Engineering Record (HAER)black and white images.